Christmas came in all sizes on the way to school on Friday. 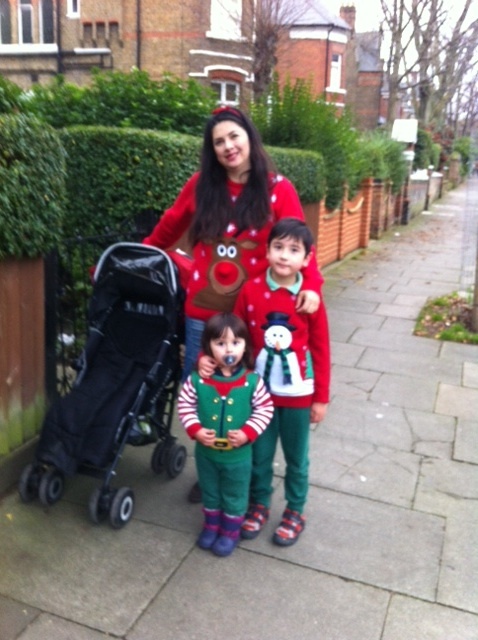 So… term ended spectacularly Christmassarily: jumpers, jumpers everywhere, with legion lights, baubles, robins and reindeer. It was as if good taste had never been invented – fun and fabulous! – as well as raising a lovely chunk of money for Save the Children, MacMillan Cancer Support and Make a Wish, in equal measure. In the New Year, we’ll be able to tell you the exact size of the donation. Put-upon donkey and peace-making sheep have larger roles in our play than in any of the gospels. He’s flashy! Nativity director Mr Gulliford may be taking the strain, but he’s doing it in style. Woah, Angel Gabriel! Chicken, Sheep, Donkey and Mary (as in the original) receive a celestial visitor. Husband Joseph receives Mary’s surprising news. Local Centurians are less than sympathetic to the couple’s plight. Nor is the lowly inn-keeper: “I don’t like wives and I don’t like children!” may be the best Nativity line ever. Luckily the world’s first Christmas presents are on their way. …interrupting King Herod’s dance routine. Shepherds are next for an angel visitation. Here they are! The heavenly host! 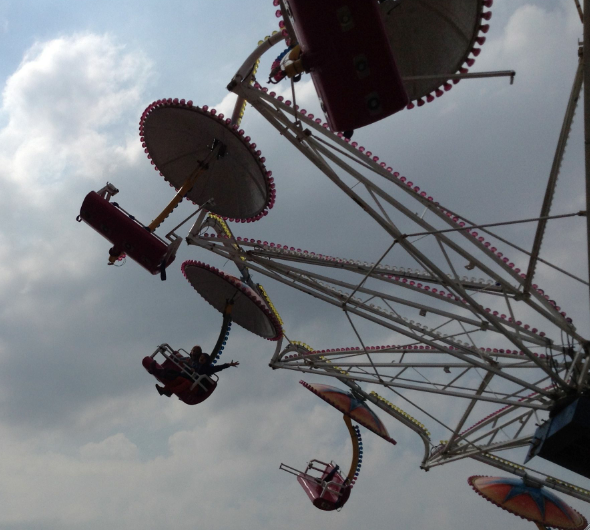 …Cygnus are always a star turn! Wise men find the stable at last. Mr Scarborough seems as overwhelmed by events as anybody. And Chicken lays an egg. Take a bow, everyone! And a very merry Christmas to you all. The cash registers are now shut to further sponsors of this year’s Weight Loss Club. 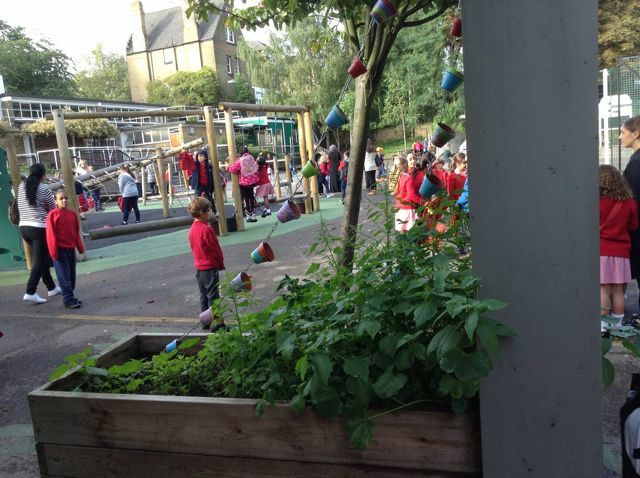 Congratulations to our healthy eaters, who brought in contributions of £710.50. With Gift Aid, that represents a total donation of £825.63 towards materials for our soon-to-be revamped lobby and corridor. Thank you so much to everyone who donated. We also owe a massive thank you to the lovely Kim in Cygnus, who has sourced Jewson’s vouchers worth £400.00 to buy paint for the project. Come along! 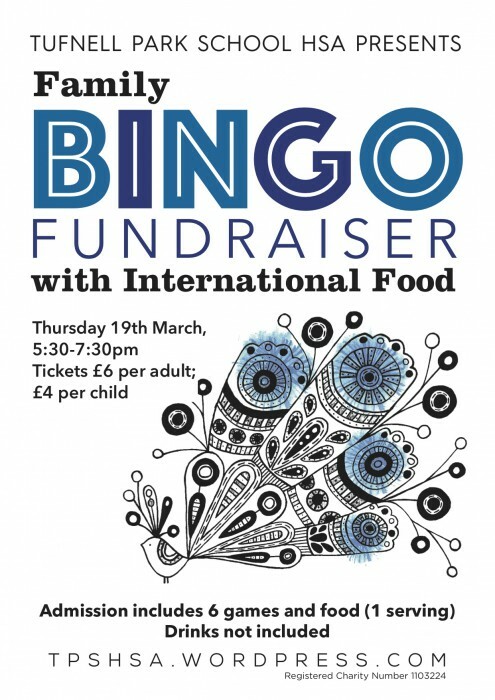 There are prizes for adults and children, plus parents and families across the school are donating delicious international fare so that we can provide a plate of food for every ticket holder. There’s even a small kiddie-craft area for those children who aren’t Bingo fans. As if all that weren’t enough, you’ll have the chance to sneak preview the Tufnell Park Family Cookbook, to which so many of you contributed recipes from around the globe. Bring cash and order your copy on the night (kerchinggg! ): perhaps you’ll be cooking Tadjine Zitoune with Yorkshire Pudding by morning. And all that lovely cash? It comes back to our children in the end, of course, so everybody wins. Let’s share our love of reading with children across the world. 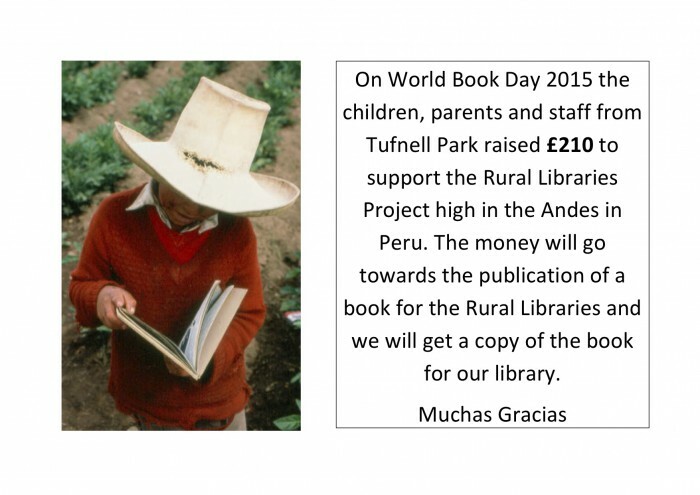 Tufnell Park School is reaching across the world on World Book Day, 5th March. While celebrating the books we love, we’ll be raising money for the Rural Libraries Project in Cajamarca, Northern Peru. Our very own Ms Heery will tell us more about her involvement at a special assembly on Thursday morning – where she will, of course, be addressing a hall full of Hermiones, Beast Quest Toms and other well-known characters. 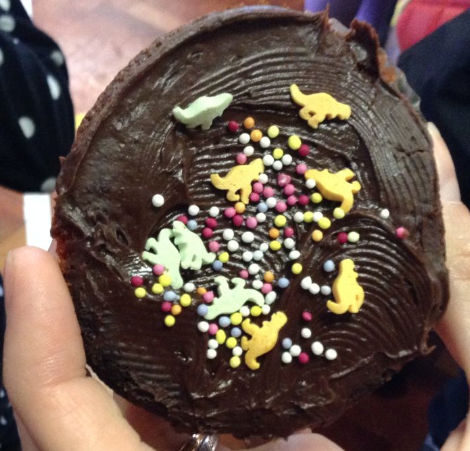 The money we raise from voluntary £1 donations for dressing up, and from our after-school cake sale (please donate! 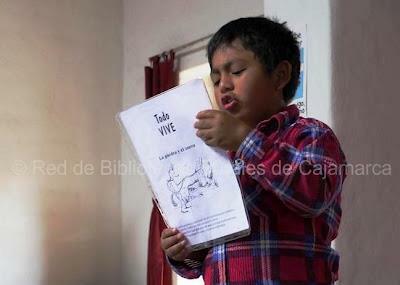 ), will help pay for a newly-translated book for the children of Cajamarca, dedicated from the children of Tufnell Park. We’re also celebrating language and literature closer to home, with a parents-and-children poetry reading in many languages. 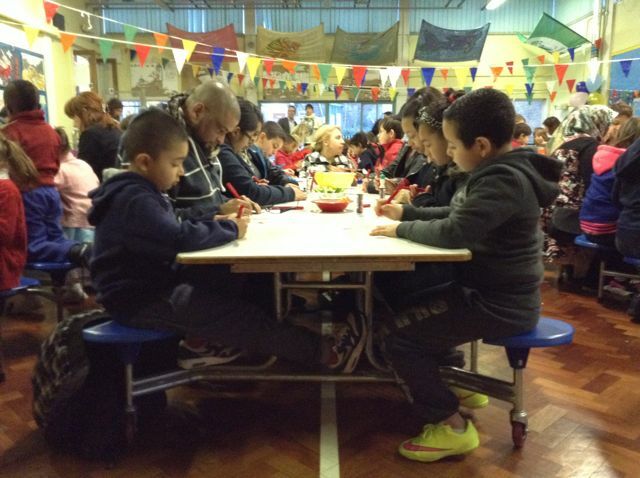 That’s in the school hall after pick-up: so come along, buy a cake, let your children have a go at talking about their book character at our “Just a minute” character challenge, and listen to some poetry in the amazing range of languages we boast at Tufnell Park. Go home replete with sugar and the marvel of words. Cupcake, it’s for you. The perfect end to a perfect afternoon. “Your imagination is better than any film!” Ms del Pozo gets passionate about the power of reading. 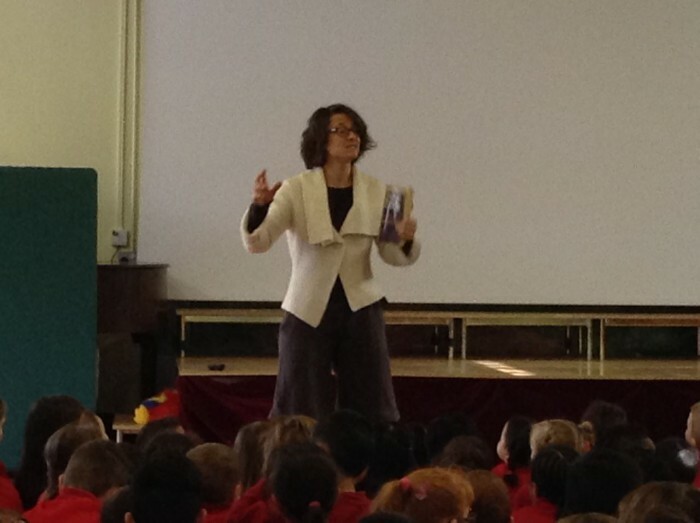 “Bring a parent / carer to school week” kicked off this morning with an assembly launching BookShare – where every child at the school is invited to bring in a favourite book to talk about and share. A specially-printed review card for each book will allow all readers to share what they thought of the book, too. This morning, the teachers showed us how it’s done, telling the children about books that mattered to them as they were growing up – and clearly matter still, to judge by their presentations. So simple, and yet… while the words tell one story, the pictures tell another to generations of children – including the Scarboroughs. The chronicles of one pioneer family transported a 10-year-old Ms Classick to 19th Century America. The moral message of this South African tale hit a teenage Mr Shuttleworth hard. Mirror writing! 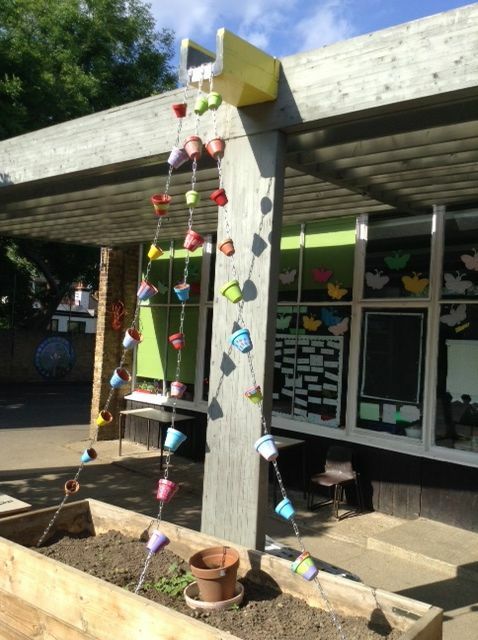 Stories interwoven in different colours! The magical presentation of Michael Ende’s international best seller drew in Ms del Pozo from the very start. What’s this? These are cakes, not books!!! Ah, but you see, by selling them we will CREATE a book – for children in rural Peru. 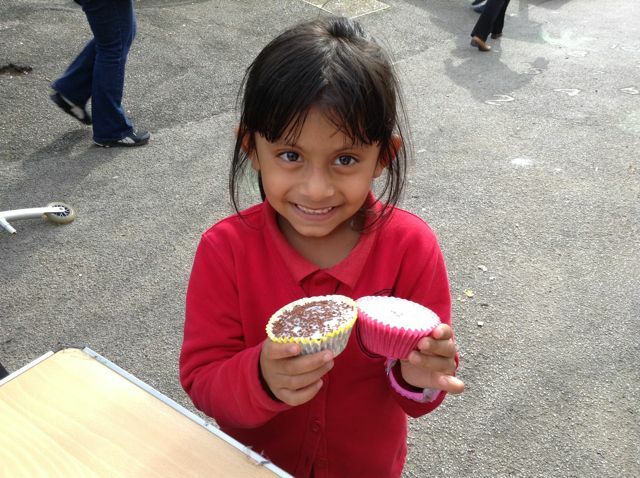 Please donate cakes this THURSDAY! So please, do encourage your children to bring in the books they’d like to share – maybe something to think about while they’re planning who to dress as for WORLD BOOK DAY on Thursday. “Goodbye grey skies, hello blue!” Make money for TPS as part of your escape. 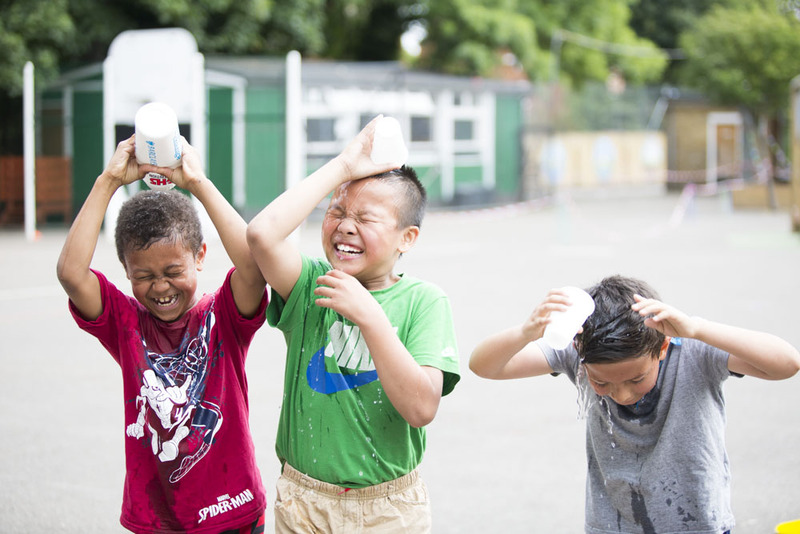 If you’re doing more than thinking – if you’re booking – summer flights or any other holidays, please take a moment to sign up for easyfundraising before you do. It’s really simple, it costs you absolutely nothing, and it accesses donations for the school from a huge number of major retailers.